NEW YORK, USA, March 21, 2017 /EINPresswire.com/ — In recent years, flooding has occurred more frequently affecting a broader range of communities than ever before. Dense urban development, aging sewer systems and increasingly extreme weather are some of the main causes – calling for increased on-site stormwater management. The Stormwater Capture Co™ crew is on top of it with rooftop solutions to reduce the impact of major rain events on your building, your city and neighboring watersheds. With deep roots in vegetated roofing, the Stormwater Capture Co™ team delivers breakthrough products that will help achieve results. 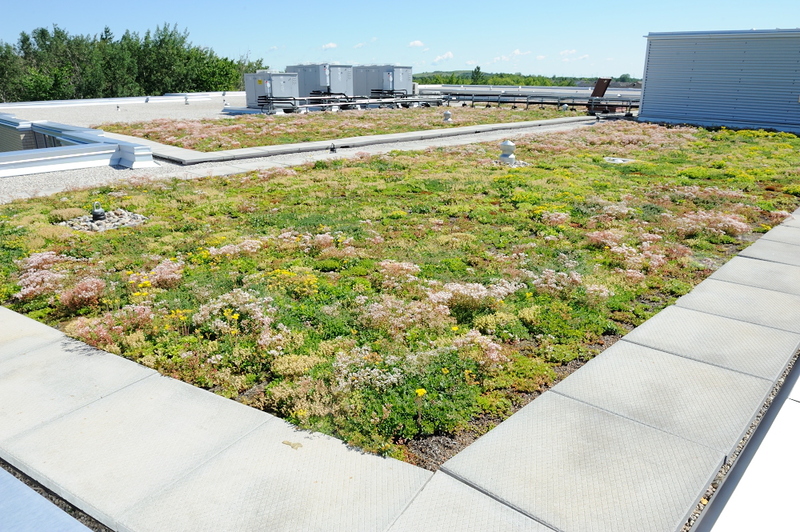 The goal is simple: To be the “go-to-single-source-solution” for the complete system package, to certify and train qualified installers and to demystify green roofing for owners and designers alike. One of the products offered is the StormCap™ system, a high performing, easy to install green roof enhanced by Urbanscape®’s needled mineral hydro blanket. 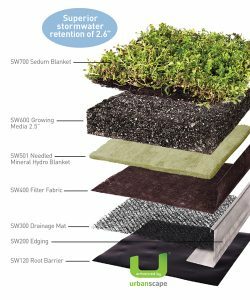 Manufactured by Knauf Insulation, the hydro blanket offers superior water retention making it ideal for vegetated roofs, as it is lightweight, can supplement or, in some cases, replace heavy growing media and can act as a water reservoir and support plant health. During a major rain event, the StormCap™ system will retain 2.6″ of rainfall or 1.6 gallons per square foot. 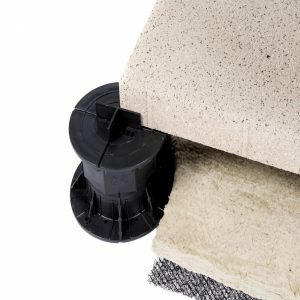 StormCap™ is also easy to cut and fully customizable. A perfect addition to the StormCap™ vegetated roof is the BioPocket™, a custom feature that provides an island of biodiversity and enhanced aesthetics where you want it. Working like a butterfly or bee island, the BioPocket™ is used to create a berm, or knoll, on your green roof to provide habitat and food for pollinators. 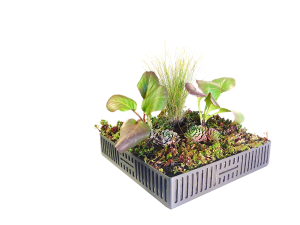 The BioPocket™ brings a burst of color, perennials or grasses and is placed on various depths of growing media, depending on the building load capacity and your design goals. A perfect addition to the StormCap vegetated roof is the BioPocket™, a custom feature that provides an island of biodiversity and enhanced aesthetics where you want it. Walkways can also be designed to help absorb rainwater using the innovative SpongePaver™ System which incorporates the needled mineral hydro blanket with a drainage mat under a traditional paver. This offers a unique solution to control stormwater runoff on the rooftop. The SpongePaver™ System incorporates the needled mineral hydro blanket with a drainage mat under a traditional paver to help control runoff under rooftop patios, walkways and fire-free zones. Stormwater Capture Co serves the Great Lakes region and the rest of the north eastern United States, helps meet your goals whether the roof is a leading edge award-winning design or best value-for-money. Come meet us at the North/East Roofing Contractor’s Association (NERCA) Annual Convention and Trade Show, March 28-31, 2017 in Atlantic City, N.J. where samples of the StormCap™ system and the BioPocket™, among other products, will be shown.